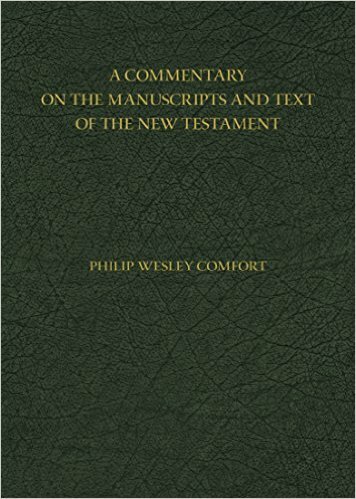 Well-known NT text critic Philip Comfort’s latest offering, A Commentary on the Manuscripts and Text of the New Testament, is an essential resource for those interested in NT textual criticism. It’s likely designed to appeal especially to those who primarily read and study the NT in Greek because it has the same dimension as the UBS and NA. However, it’s also accessible to those with little or no Greek skills because the Scriptures are presented in English and Greek, when used, is transliterated. If you find yourself wanting more detail when consulting the critical apparatus of your GNT, this book is for you. If you find yourself wanting to know more when the footnote of your English Bible discusses other manuscripts, this book might be for you. Comfort begins with a brief introduction in which he notes the main unique features of this commentary. One is that the commentary is on actual manuscripts. Another feature found in no other commentary is the attention paid to nomina sacra.Words almost always written as nomina sacra are noted in the rare instances when they are not written as such; nomina sacra written in full to indicate human rather than divine are noted throughout; titles such as “Son of God”, “Son of Man”, and “Son of David” when written as nomina sacra are noted. After the introduction, Comfort presents a list of the earliest manuscript(s) for each chapter of the NT. Chapter One provides a helpful introduction to NT textual criticism covering topics such as papyri, nomina sacra, and establishing the text of the NT. 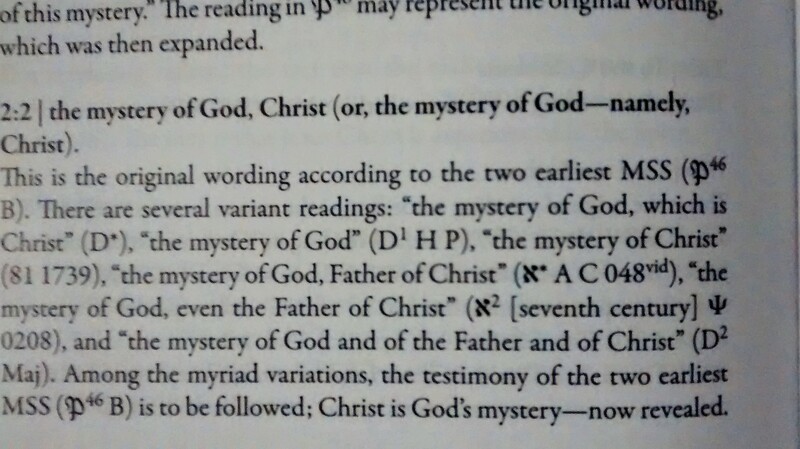 Chapter 2 provides an annotated list of NT manuscripts, and the rest of the book goes through the NT books chapter by chapter, noting and commenting on the major textual variants. The book concludes with an appendix that provides more in-depth information about nomina sacra, noting each one used in the NT and its significance. A Commentary on the Manuscripts and Text of the New Testament is an excellent supplementary reference resource for those interested in NT textual criticism. It’s certainly helpful, but I wouldn’t consider it essential. 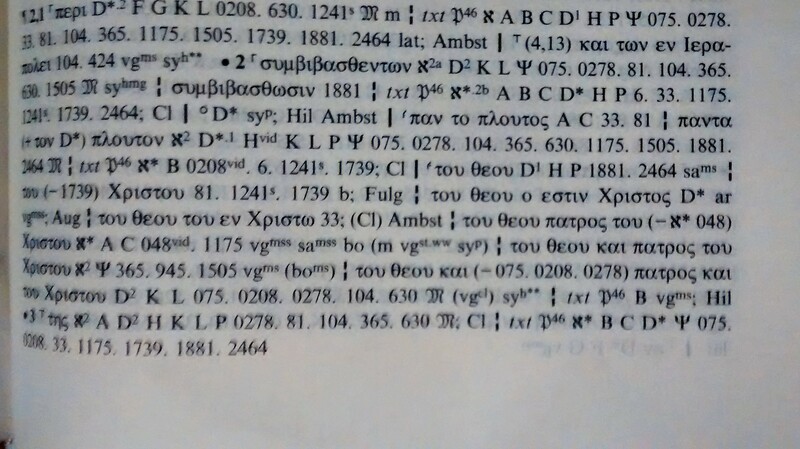 While there are points where it addresses variants not covered in the NA28 critical apparatus and/or Metzger’s textual commentary, and while the emphasis on nomina sacra is unique and extremely beneficial, often the comment on a particular verse really doesn’t provide more information than the critical apparatus in your GNT. Since I’m studying Colossians this semester in my Greek exegesis course, I’ll illustrate by way of an example from this epistle: the textual variants for the end of 2:2. The top image is from my NA28, and the bottom image is from Comfort’s new commentary. Herbert W. Bateman IV, Darrell L. Bock, and Gordon H. Johnston. Jesus the Messiah: Tracing the Promises, Expectations, and Coming of Israel’s King. Grand Rapids, MI: Kregel Academic, 2012. 528 pp. $36.99. In Jesus the Messiah: Tracing the Promises, Expectations, and Coming of Israel’s King, three leading biblical scholars bring their differing expertise to provide a survey of “contextual-canonical, messianic, and christological developments of God’s promise of ‘Messiah’ within the larger framework and unfolding of Jewish history in canonical and extracanonical literature” (20). Gordon Johnson covers the Hebrew Bible, Herbert Bateman IV covers intertestamental literature, and Darrell Bock covers the NT. By using the Hebrew Scriptures as the starting point, Jesus the Messiah already differs significantly from certain streams in biblical scholarship that ignore Jesus’s Jewishness and view him primarily through Graeco-Roman lenses (e.g. John Dominic Crossan). However, their approach has a significant difference from others that see the foundational value of the Hebrew Scriptures as well: in distinction from Evangelicals who use a single reading strategy and see direct prophecies in many OT texts, Bateman et al. 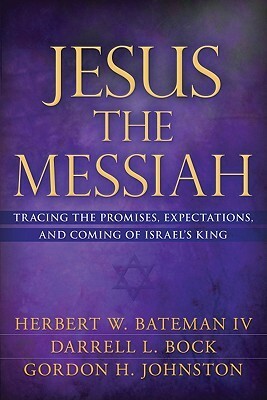 argue that “these texts do not need to be only direct prophecies for them to reveal a messianic connections [sic] and fulfillment in Jesus…while the wording is ultimately messianic, it is often more implicitly stated and becomes clearer only as the entirety of God’s portrait of messiah is eventually and fully disclosed” (25, italics original). John S. Hammett. 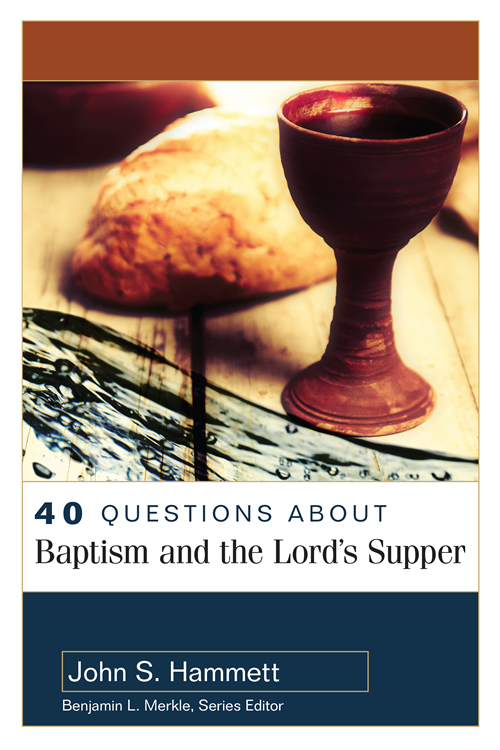 40 Questions About Baptism and the Lord’s Supper. Grand Rapids, MI: Kregel Academic, 2015. 336 pp. $21.99. Though baptism and the Lord’s Supper have been almost universal practices among Christians throughout the ages, disagreements about what they mean and how they are to be practiced are littered across church history and continue into our day. While there is a healthy ecumenism concerning these topics among evangelicals today, it would be unhealthy to assume that these so-called second order doctrines are not important to Christian theology and practice. Indeed, the importance of these two topics is thankfully recognized as recent years have seen a number of books addressing them (e.g. Understanding Four Views on Baptism and Understanding Four Views on the Lord’s Supper). One might ask why 40 Questions About Baptism and the Lord’s Supper is necessary when there are already a handful of books that address the key issues related to these two sacraments. 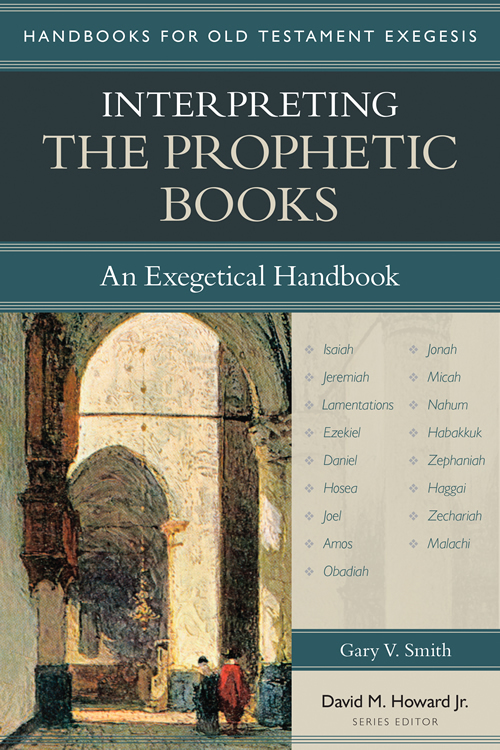 The author John Hammett (professor of systematic theology at Southeastern Baptist Theological Seminary) addresses this in his introduction, noting four ways this book is unique: it addresses both baptism and the Lord’s supper, whereas most books deals with just one of the two; it covers a much wider range of topics; it addresses practical issues; and the table of contents lists each of the forty questions, providing a helpful reference for readers who want to look up specific issues. Kenneth F. Keathley and Mark F. Rooker. 40 Questions about Creation and Evolution. Grand Rapids, MI: Kregel Academic, 2014. 432 pp. $23.99. One of the most controversial and divisive intra-evangelical debates is in the area of origins. At the extremes, Young-Earth Creationists (YECs) can think that Old-Earth Creationists (OECs) and theistic evolutionists have a low view of Scripture and are at risk of compromising the gospel; OECs and theistic evolutionists can think YECs are not using their brains and have a faulty literalistic hermeneutic. Most frequently books on origins are written from a certain perspective and/or address one (or a few) subtopic(s), and often books on origins increase misunderstanding and further the divide between the main camps (the several multiview books in this area are, of course, exceptions to the latter statement). 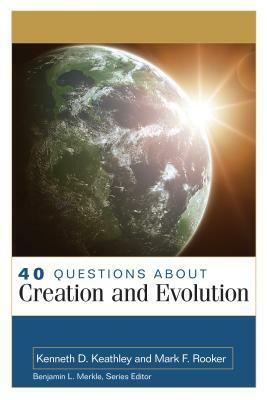 In 40 Questions about Creation and Evolution, Kenneth Keathley and Mark Rooker provide a balanced, fair, and scholarly yet accessible introduction to all the main issues surrounding the topic of origins. Keathley and Rooker are both professors at Southeastern Baptist Theological Seminary, with the former identifying as OEC and the latter identifying as YEC. Though conservative, Keathley and Rooker do not succumb to some of the pitfalls of conservative books on origins. They are fair and nuanced in their presentation and assessment of other views and rarely cast other positions as automatically outside the bounds of orthodoxy. This can be seen in their approach in Question 38, “Can Christians Hold to Theistic Evolution?” They note famous Christian leaders past and present who embraced theistic evolution, such as B. B. Warfield, C. S. Lewis, and Tim Keller. However, they emphatically affirm the importance of an historical Adam and Eve and present this as the litmus test for any model that tries to integrate Genesis 1-3 with the findings of modern science (378). They do note that while there are serious and detrimental consequences to denying an historical Adam and Eve, they do not doubt the commitment to Christ of those who do so, such as Lamoureux and Giberson. After surveying three positions held by evolutionary creationists who affirm an historical Adam, Keathley and Rooker note both evangelicals (who affirm inerrancy) who affirm evolutionary creationism (such as Bauer) and those who contend that it is not a viable option for evangelicals (e.g. Grudem). While noting the theological concerns and hermeneutical challenges of evolutionary creationism, the authors recognize that believing scientists “are followers of Christ who desire to be faithful to the gospel by working with integrity within their scientific vocations” (385). Structurally 40 Questions about Creation and Evolution is broken into six parts: the doctrine of creation (4 questions), creation and Genesis 1-2 (6 questions), the days of creation (6 questions), the age of the earth (6 questions), the fall and the flood (9 questions), and evolution and intelligent design (9 questions). This is an excellent introduction to the topic of origins that interacts with the best of biblical scholarship and scientific views. While solidly evangelical with a commitment to biblical inerrancy, the authors are not overly dogmatic and are irenic and fair in their presentation of other views. I highly recommend this book as an introduction to the topic of origins, but especially to those who hold to conservative views on the matter. Not only do you come away from the book with a broader and deeper understanding of the topic in general and the main points of debate, but you also gain a greater appreciation for the other sides. Often conservative literature paints a picture of OECs and evolutionary creationists that tries to make you question their faith and commitment to Christ; this book helps you see that it’s possible for those on the other sides of the debates to affirm inerrancy and have a genuine devotion to Christ and commitment to the gospel. Duane A. Garrett. 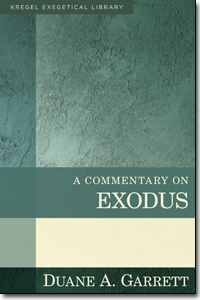 A Commentary on Exodus (Kregel Exegetical Library). Grand Rapids, MI: Kregel Academic, 2014. 752 pp. $39.99. exegete the text as a Christian theologian by connecting the book of Exodus to the New Testament as well as Christian doctrine. Garrett’s commentary begins with a detailed 131-page introduction that addresses the sources and composition of Exodus, provides an overview of the text of Exodus including text-critical issues, and explains his translation procedure. Garrett then provides a fairly in-depth introduction (for a biblical commentary) to the history and culture of ancient Egypt covering the land, chronology and history, and language. Next Garrett spends considerable time on the date of the exodus, examining the biblical data and historical evidence for the Late Date and the Early Date, covering a few other related issues (the store cities of Raamses and Pithom, the archaeology of Canaan, Jericho, and Hazor), noting two eccentric theories from respected scholars that are instructive though implausible (the Speos Artemidos inscription and the Siversten Hypothesis), and briefly examining a few chronological conundrums related to the price of a slave, ruling pharaohs. The section on dating ends with a caveat on early biblical chronology (the numbers “are correct in asserting what they actually meant, and this is not necessarily the same as what we think they meant, p. 93) and a brief look at a “Very Early Date” and a “Very Late Date.” Next, Garrett addresses the historicity of the exodus. In summing up this lengthy section, Garrett contends that “The exodus, we may be sure, did happen as described in the Bible. On the other hand, we must be humble about our ability to assign it to a specific date” (101). Garrett then provides a lengthy discussion on the location of the Yam Suph and of Mt. Sinai, an outline of Exodus with a structure comprising seven major divisions, and finally, a discussion on the message of Exodus and its place in Old Testament theology. The commentary proper goes passage by passage providing a few brief sentences by way of introduction, a translation with a clause per line, an outline and comments on the structure of the passage, verse-by-verse commentary, and theological summary of key points. As mentioned above, technical discussions are mainly in footnotes so that the preacher or teacher preparing a sermon or Bible study is able to get the main points about the text as well as key theological points without getting bogged down by overly technical details. This commentary on Exodus is a superb volume for evangelicals and is especially suited for ministry use.